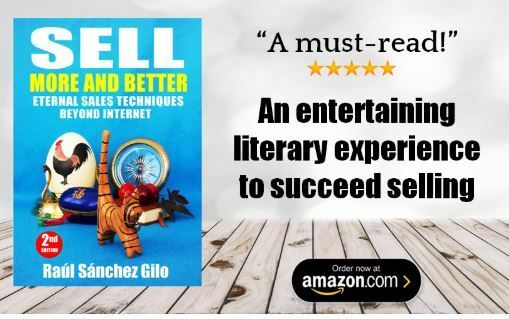 Discover in an entertaining way how to sell more and better with an entertaining book, easy and quick to read. After the success of the original version, now it is available the English edition, a must-read for all type of salespeople, entrepreneurs, businessmen, start-ups, marketing and sales professionals, sales trainers, and sales students. Discover the real value of the tiger, the secrets of the old book and the Samurai's mission. If you sell, or want to sell more of your product and service, this book is for you. The fundamentals you need to know. It will change the way you think about selling.You don’t need fancy persuasion tactics, a perfect sales pitch or be the greatest salesman in the world. You need to know the Eternal Sales Techniques that will always work. You don’t need fancy persuasion tactics, a perfect sales pitch or be the greatest salesman in the world. You need to know the Eternal Sales Techniques that will always work! e-books and ethics vs. legality beyond "pirating"